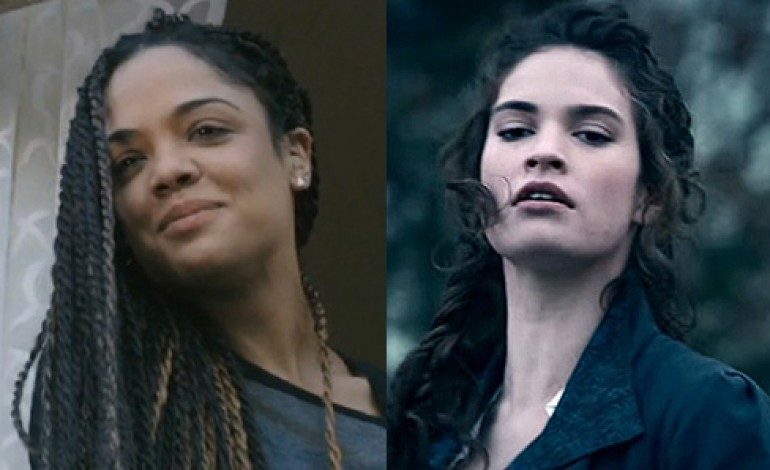 Tessa Thompson (Creed) and Lily James (Cinderella) have been cast to lead Nia DaCosta’s directorial debut, Little Woods, according to Deadline. The two rising stars will be playing sisters in what is being called a modern western. DaCosta’s film follows Ollie (Thompson) and Deb (James) as they go against the law to help their struggling North Dakota neighbors gain access to Canadian health care and medication. Thompson recently gained a lot of attention for her roles in Dear White People and Creed. She was recently seen in HBO’s Westworld and will soon appear in Thor: Ragnarok as well as in Alex Garland’s Annihilation, opposite Natalie Portman. After gaining recognition in the television series Downton Abbey, James starred in Disney’s live-action Cinderella and 2016’s Pride and Prejudice and Zombies. Next up, she will be seen in Edgar Wright’s Baby Driver and Mike Newell’s Guernsey.